The market today is dominated by mobile users. This includes both smartphones and tablet users. In fact, ever since the launch of the iPad, tablet sales have been coming in strong. The market for personal computers is slowly being eaten by tablet users. Various studies and statistics also showed that internet users from the mobile market are increasing at a rapid pace due to the expansion of internet accessibility. Thence, one also sees a rise in the cases where there is a need for optimizing e-commerce websites. The increase in mobile internet users also means that more people are buying things over the internet not only through their computers but also through their mobile devices. As such, it only makes much sense for an e-commerce website to simplify the daunting task of buying products through mobile devices. A lot of big names such as Amazon, eBay and Etsy already have mobile applications for their devices and this means that you should too opt for e-commerce website optimization. Before you go about searching for an e-commerce mobile app builder, you must understand your business’ market. Today, it is increasingly important that you know whom the majority of your users are, especially your mobile users. Knowing who the users are is the first step in optimizing your e-commerce website. This means that you should take a look at Google Analytics under the mobile section. Find out whether the bulk of your users are Android or iOS users and whether they browse on tablets or smartphones. In fact, you can even find out which browser they are using and through all of this, as it will add to the ease of e-commerce website optimization. When we talk about focusing on the important things, we mean the content of your website along with e-commerce website optimization. The screen estate of a smartphone or a tablet is a lot smaller than it is on a computer. This means that you will need to filter the contents that should and should not be inside your mobile website. On the product page, put the necessary under a drop-down box so that each section can be opened and closed without much clutter. As for text, it would also be good to provide a stripped down version so that customers can read with much ease instead of needing to scroll through a lot of texts. When performing e-commerce website optimization, you should also think like your user. If you don’t really know how to do this, go to a competitor’s website that has a mobile version. See the features that you like and you don’t like. From here, you can make a list of what needs to be changed and the features that you find important. Remember, the ease of using the website is important to give the user the best browsing experience. This in return will also mean higher turnover rate as compared to a website that is not optimized for tablets and smartphones. Alongside, while working on e-commerce website optimization for tablets and smartphones, it’s important to take into account e-commerce optimization for desktop, as your major audience base will come from there too in the case of some services. 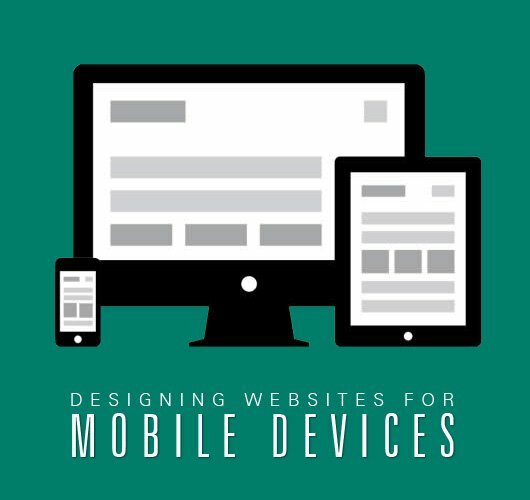 The design of your mobile website should take note of a lot of factors. Mobile websites are different as compared with the full version. As such, you should know what to modify and what to retain in order to maximize readability and navigation. When you do these correctly, then you will see good results on the turnover rate of your website. It’s important to note that e-commerce optimization for desktop is way different when compared to tablets or smartphones. As a tip, websites that do not have much content can have navigation at the top but for most websites, having navigation at the bottom is better. For an e-commerce website optimization, it may be wise to put the breadcrumb at the top instead of the bottom. A lot of big websites today like to make use of responsive design and for most instances, it pays. A responsive design is one that suits the screen resolution of the user. This means that on a tablet, it fixes the design in a way that it is big enough to view on the screen of a tablet. The same goes with a smaller screen on a smartphone. The design itself is fluid so that there is no need for much changes (or different versions) on the website. 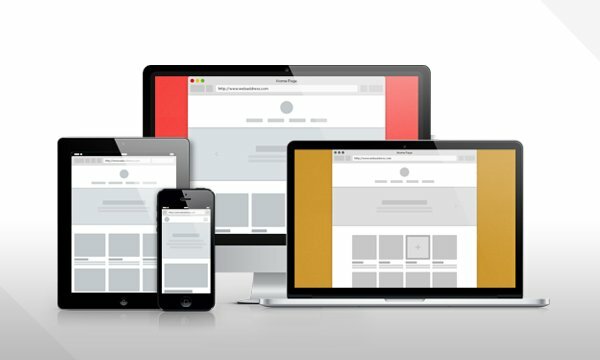 Having a responsive design is good because you only have one design that can be suited for a lot of different devices. With responsive design, your pursuit of e-commerce website optimization won’t yield any results. While a lot of your visitors possibly have touchscreen devices, there is still a handful of them that do not (read: BlackBerry users). That does not mean that you should neglect them. Instead, design your website for both touchscreen and non-touchscreen users. Another thing to take note is that your text should not be too small. Links should not be too close together as well because visitors often hit the wrong link when fingers tend to be too thick. That is why you should ensure that the size is just right so that there will not be any accidental clicking on the wrong link. While we agree that content is king, you need to be a bit pickier when it comes to contents on a mobile website. The reason comes back to the lack of screen estate. Working on e-commerce website optimization, you need to make sure that your customers see more of the product and less on the navigation side of your website. On the page, you need to make sure that only the most important content or features are highlighted while the non-important ones can be left out. To make it easier, anything on the main section of the page can be considered as important contents while anything at the sidebars is less important. A lot of websites neglect sidebars as a whole on their mobile version. It might do you much good to do that as well. The difference in the mobile website is that it needs to be focused and this means having concise information. It should be easy to read and navigate through and at the same time, loads fast. This means that the images need to be compressed and even re-sized. Not everyone has LTE connection so you need to make sure that your website loads quickly and efficiently. If you noticed, most big websites that have mobile version works in a single column layout. The reason being that single column layout offers the best visibility and readability to the user, hence, making it the best layout choice for mobile users. The same goes to e-commerce mobile sites. You will need to optimize your website in such a way that all the necessary information goes in a single column. As a rule, if you need to zoom in to read the contents on your website, then your website is not yet optimized. 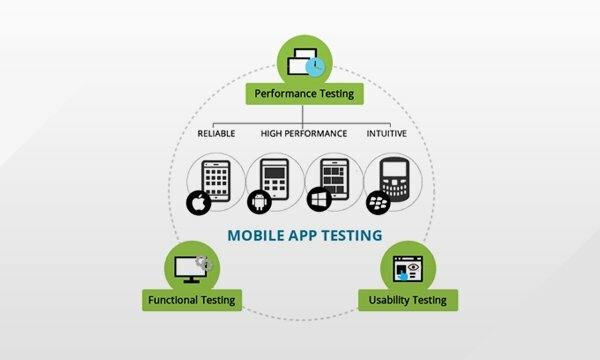 Usability testing may be the most important aspect of a mobile website. This is because usability testing determines whether your mobile website is ready for the big time or not. Through usability testing, you can easily find out whether there is anything wrong with your mobile website and whether it is user-friendly or not. Usability testing isn’t complicated. You need to find a group of testers (someone outside of the developing committee) to use the mobile website. Give them some task and see whether they can do it with ease or not. From there, you can get their feedback on the website and then see which section that you need to improve and which section that needs to be removed. We highly recommend that you do usability testing for your mobile e-commerce website because, without it, your website will not be as optimized. If you have the necessary funding, then we highly recommend that you create a mobile application for your e-commerce website. The best language that you can use is HTML5 as this allows you to create a single application that can be used across various platforms. 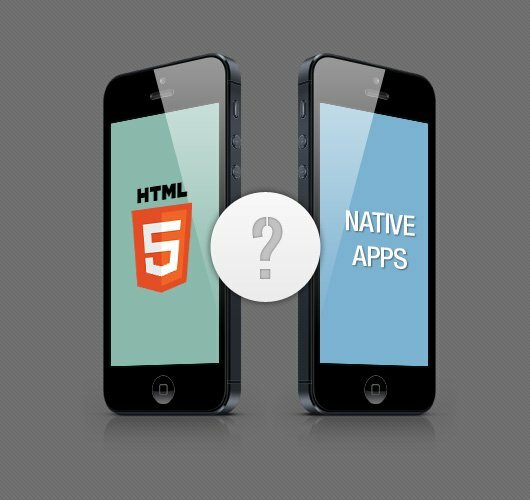 This means that by using HTML5, you can create an application for Android, iOS, BlackBerry and even Windows Phone users. However, the potential downside is that HTML5 can be a bit sluggish as compared to the native language but this can easily be compensated with the advancement of today’s mobile devices. The main advantage of having a mobile application is that it shows that your e-commerce website is established. In addition to that, you can play around in a way that is not possible on a mobile device. This means that you can create a new version of your website as an application instead. As a good example, you should take a look at Etsy or even Airbnb as the two have interfaces better than most e-commerce applications out there. Trends and life styles are changing rapidly and things are quite different as compared to five years ago. During these years, usage of cell phones and internet usage has risen dramatically. Browsing the net via smart phones is most common and people prefer smart phones to check their e-mails or using social media networks. Over the last couple of years the mobile internet users have increased exponentially and in 2010 nearly 73 million Americans used internet from their mobile phones. This is 31% more than the usage in 2009. Most of the websites do not open properly on mobile browsers and there is a need of optimized versions which can be used via smart phones. The stats clearly show that you cannot ignore this aspect of business. 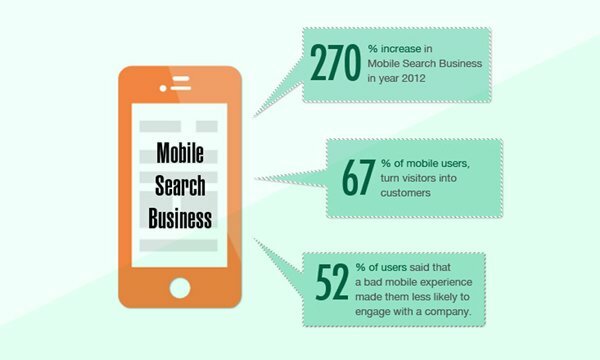 Ignoring the optimized site for mobile phones can restrain you from reaching millions of potential customers. according to studies by USA university their are numbers of people using smartphone for their sopping and services, so it is necessary to optimize the mobile websites.